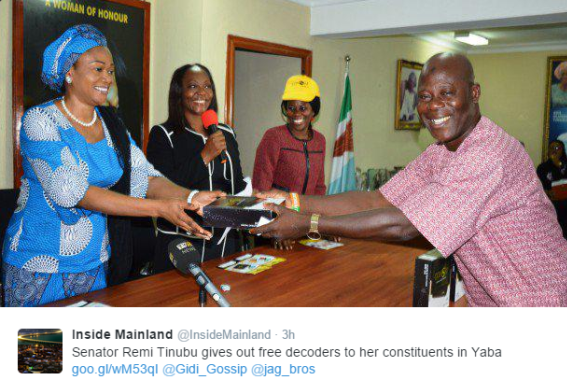 Sen. Remi Tinubu gives out free decoders to her constituents...? HomeNaija NewsSen. Remi Tinubu gives out free decoders to her constituents...?